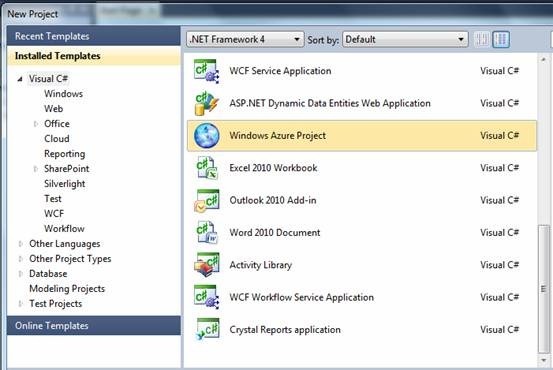 In the previous article we have experimented the ways of WCF hosting in Windows Azure. In this article I would like to summarize the important points of WCF service exposing in Windows Azure. 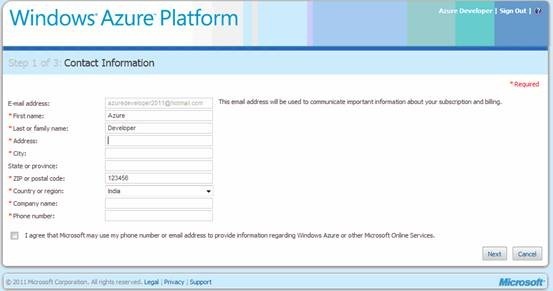 There are multiple ways of hosting WCF service in Windows Azure. Let us examine them closely. In the Web Role hosting, the WCF service is hosted inside IIS. This will give the advantages of IIS to the WCF service. 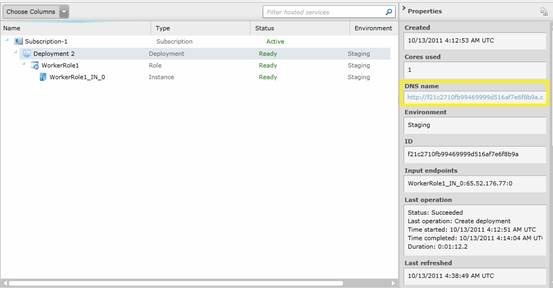 The Service creation will be much easier in this method as Visual Studio provides the templates for Service (.svc files). We need to create a new .svc file and place it in the web role project. The host names and ports are configured by the deployment and we can access the service through a browser. The metadata end points are also automatically added. This saves a lot of amount of work from the developer side. Here the developer has to perform more work in creating the service contracts by defining the attributes in the contracts and implementation. This method is advised if more control is needed over the service. We can easily configure the protocols in this way. In this case a corporate port has to be opened to expose the service while using the worker role. 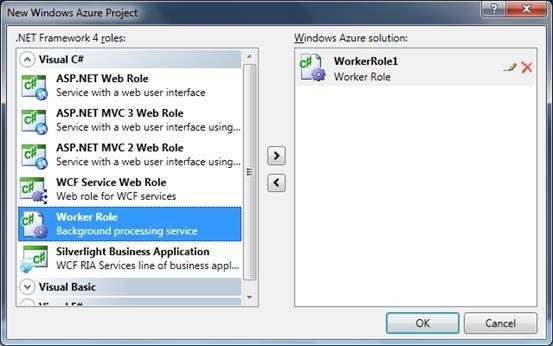 In this method the WCF service is exposed through the Service Bus service feature of Windows Azure AppFabric. We can choose this option if we need to connect two disconnected applications. This method is self hosted and more configurations needed. 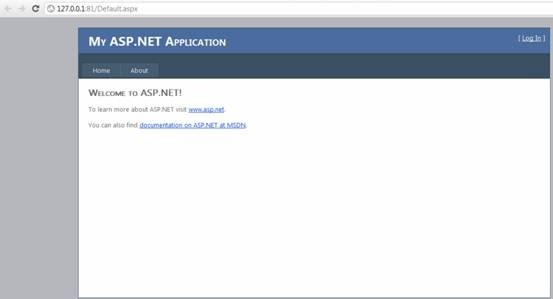 Here we can connect two disconnected applications using the Service Bus namespace. 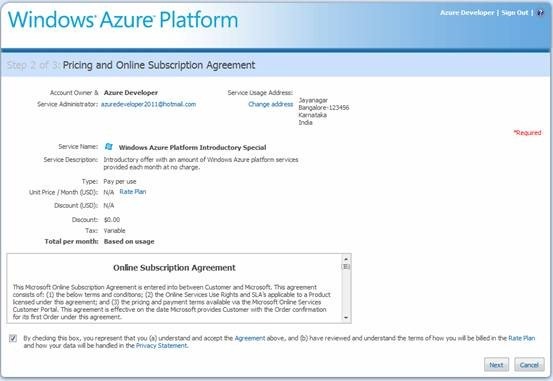 The namespace identifies the subscription and will be used for billing purposes on the cloud. There are two modes of connectivity in the Relay Service. 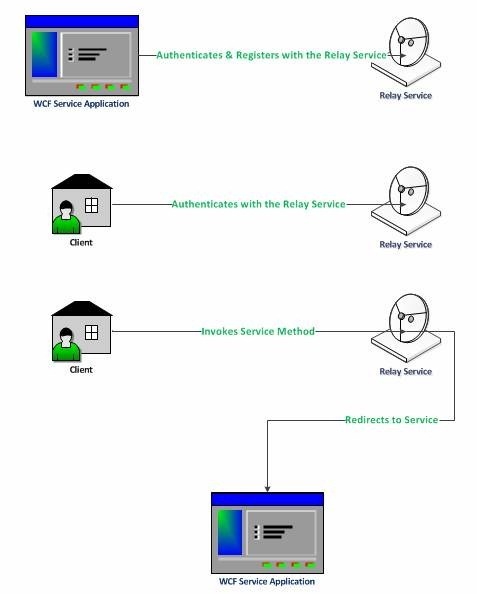 The default mode is Relayed and here the service and client is connected through the relayed service. The following picture depicts the process in the Relayed mode. 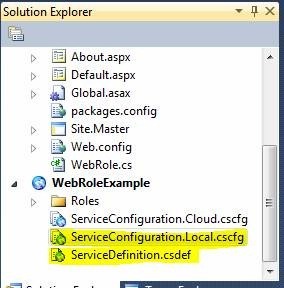 Step 1: The WCF Service authenticates and registers with the Relayed Service using the namespace and Provider keys. Step 4: The Relay Service redirects the call to the registered WCF service. In the Hybrid way of connectivity the client can communicate directly to the service. First the client connectivity starts as Relayed as usual and then if there is possibility of connecting directly to the service it will be provided. In this article we have discussed the various WCF exposing methods in Windows Azure like web role, worker role and through AppFabric Service Bus. In this article we can summarize the points on Worker role deployed in previous article. The cost of billing will be varying depending on the virtual machine size. The ServiceDefinition.csdef file can be used to specify the VM size. 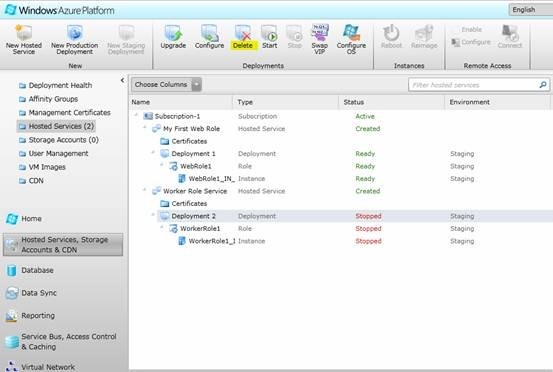 The number of instances of the Worker role can be specified using the instance count option. The number of instances will be managed by a Load Balancer automatically by the cloud. 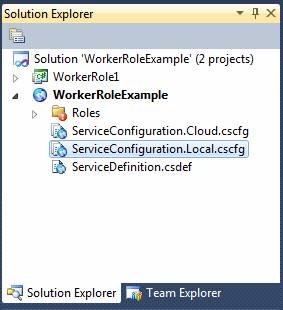 The ServiceConfiguration.cscfg file can be used to specify the instance count. 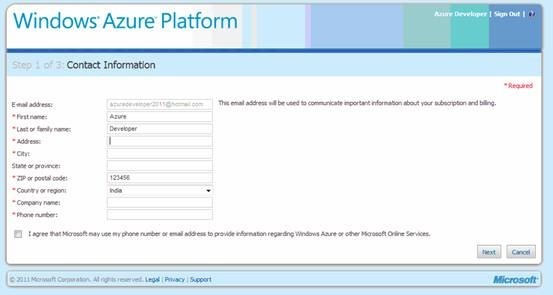 Sign in to the Windows Azure Portal, click the Hosted Services link to vie the hosted services and click Stop from the toolbar. The order of clicking is depicted as sequence. On clicking the Delete button you will be prompted with a confirmation dialog. After the operation is completed, the above entries are removed from the list. So it confirms the Delete operation. Creating the Worker Role is performed in the previous article. Now we need to do the following steps. 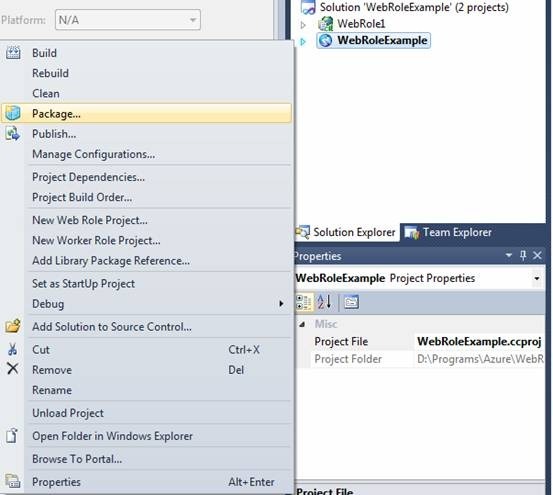 For creating the package, right click on the project context menu and click Package. Now as dialog box will be appearing, leave the default options selected and click the Package button on the dialog. After performing the packaging, the folder containing package is opened in a new explorer window automatically. The Configuration file contains the instance count, application setting entries etc. The deploying part contains deploying the package file and the configuration file. 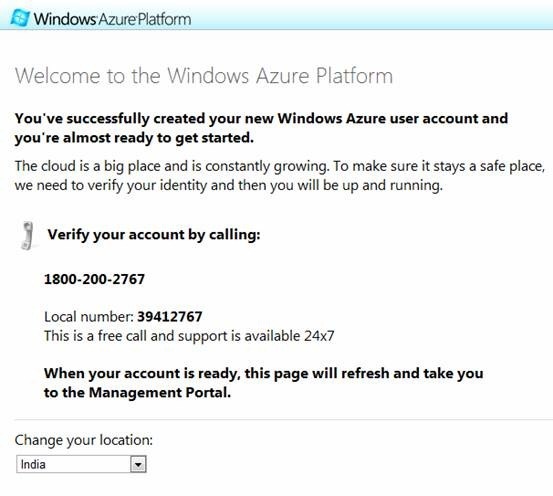 For deploying the files, we need to sign in to the Windows Azure Portal. After signing in, click on the New Hosted Service button from the left top panel. The following dialog box appears. The subscription list automatically selects the default subscription (trial). In the service name text box, enter a name for the service. In the service URL prefix text box, enter a unique prefix name. In the region, select an appropriate region of deployment. Enter an appropriate deployment name in the final text box. Now, we need to specify the Package location and Configuration file. Use the Browse locally… button for these and select the files from your local machine. Now you can see that the entry is shown as preparing to upload in the list. We need to wait a few minutes for the upload operation to be completed. After the upload operation is completed the instance will be started. 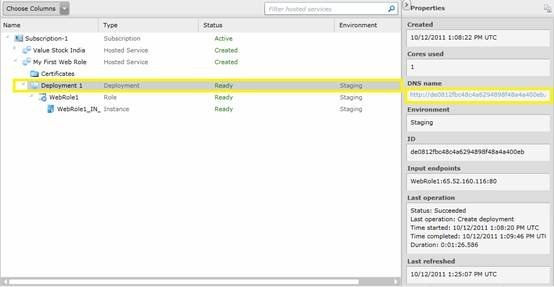 For viewing the deployed Worker Role traces we need to change the trace configuration. This will be explained in further articles. As the worker role we uploaded is having infinite loop, it will be quoting computing resources and any usage beyond monthly free limit will be charged to the credit card. So it is recommend you to delete the deployed worker role after the test. Deletion is explained in the next tutorial. 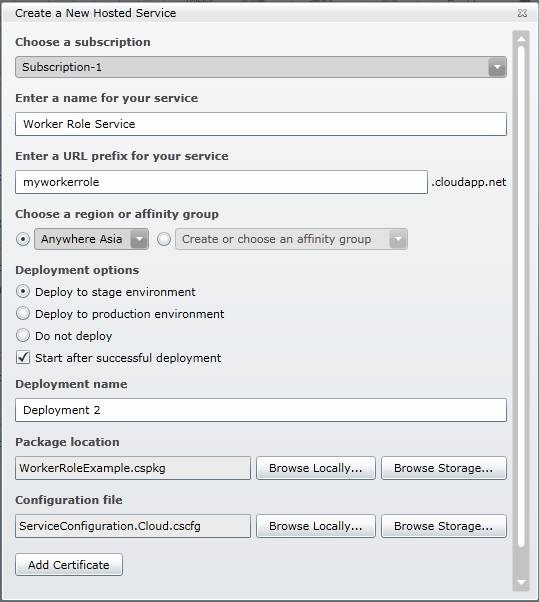 In this article we have seen how to package and deploy a Worker Role to windows azure hosting. 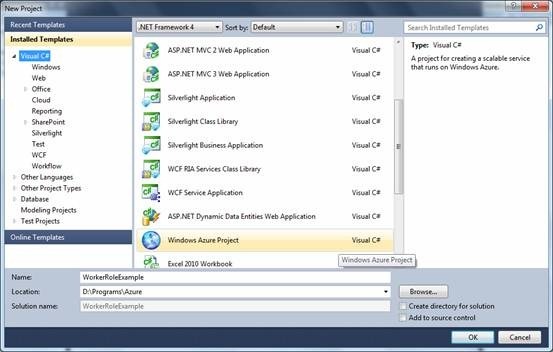 In this article we are creating a worker role using Visual Studio 2010. This will make the reader familiar with Windows Azure. 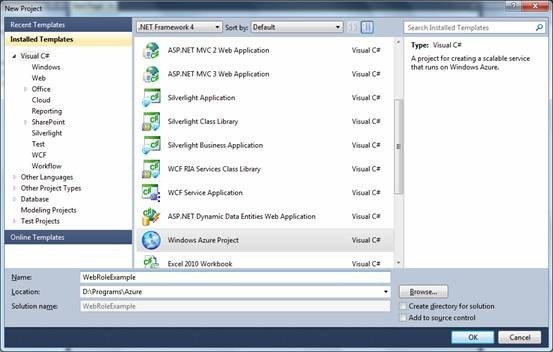 Open Visual Studio 2010 and use the command New Project. From the appearing dialog box select the Windows Azure Project option from Visual C# group. Enter an appropriate name for the project and click Ok to continue. Now you will be prompted with another dialog for selecting the type of project. 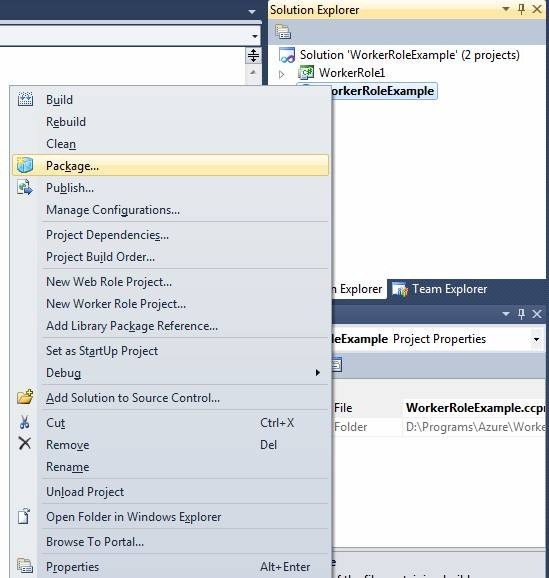 Double click on the Worker role option to select a worker role project and click Ok button. Now you are ready with the Worker role project. 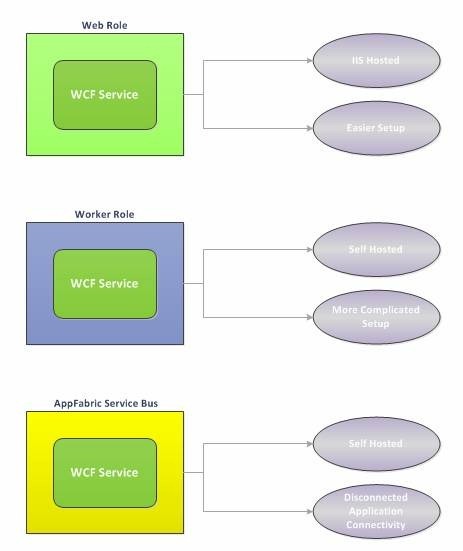 The Worker role can be used to host WCF services, provide endpoints, perform operations etc. Now execute the application and you will be able to see the application inside the browser. From the system tray, you can verify the Windows Azure Emulator as running. If successfully executed, you can see the trace output messages as shown below. The exceptional cases are already addressed in the previous Web Role Example article. In this article we can summarize the points on Web Role deployed in previous article. The number of instances of the Web Role can be specified using the instance count option. 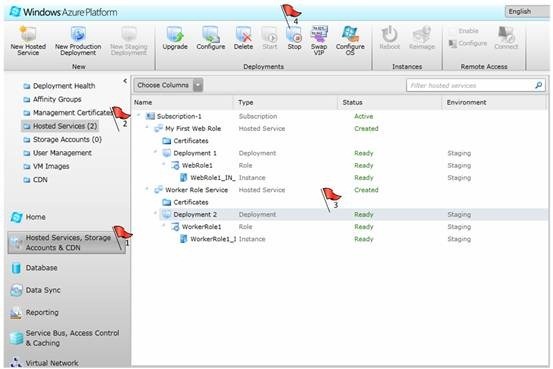 The number of instances will be managed by a Load Balancer automatically by the cloud. Creating the web role is performed in the previous article. Now we need to do the following steps. 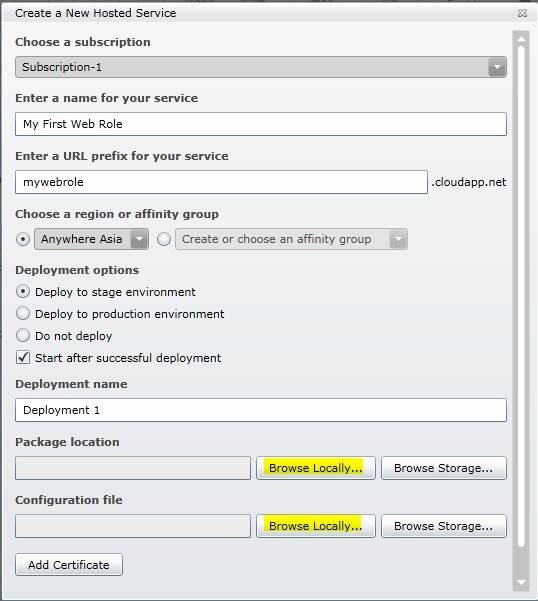 For viewing the deployed web role we need to get the url. For this select the Deployment 1 row from the list above. From the property pane on the right we can see the DNS name. 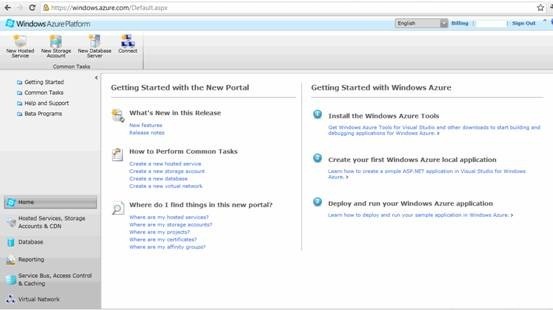 In this article we have seen how to package and deploy a web role to windows azure hosting. 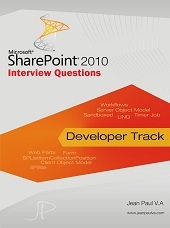 In this article we are creating a web role using Visual Studio 2010. 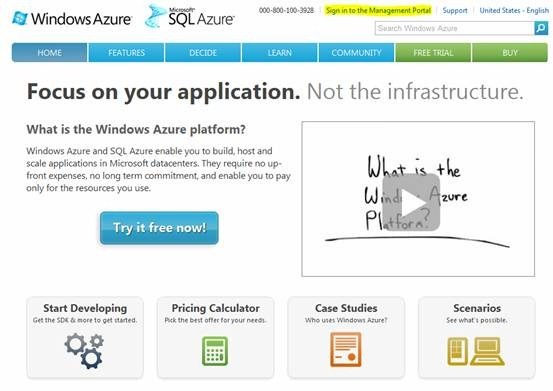 This will make the reader familiar with Windows Azure. 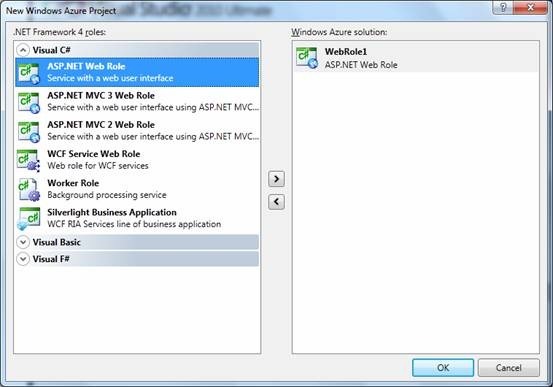 Double click on the ASP.NET Web Role option to select a web role project and click Ok button. Now you are ready with the Web Role project. Now execute the application and you will be able to see the application inside the browser. From the system tray, you can verify the Windows Azure Emulator as running. In case the emulator raised an error like below dialog, you have to restart Visual Studio in the Computer Administrator context. 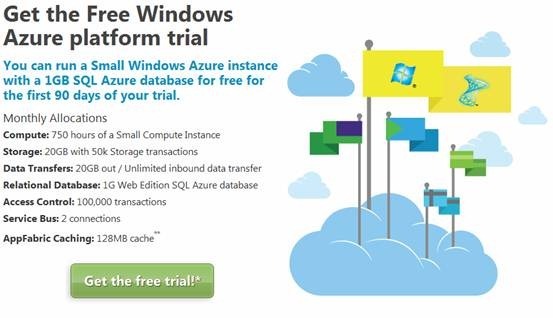 Proceed with clicking the “Get the free trial” button and now you will be prompted with the windows live id authentication. You can use an msn/hotmail id to login. If you do not have a live id, then create one and login. One can use Greybox (http://www.greybox.codeplex.com/) to monitor the consumption in the specified account. This will ensure that no unattended usage causes billing problems later. After providing the details click the Submit button and the creation process is completed. Click on the Sign in to the Management Portal and provide your credentials. You will be getting the following verification screen. After creating account, we can proceed with setting up the development environment. Windows Azure applications can be developed in multiple environments. In this article, we are focusing on setting up SDK for Visual Studio. 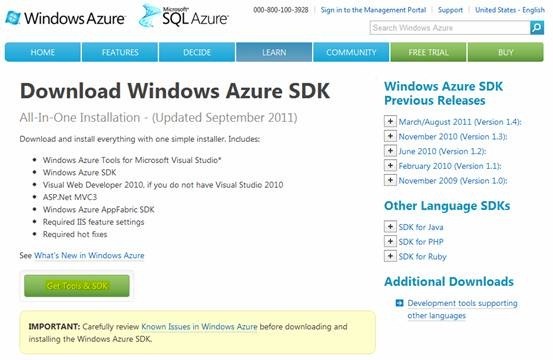 Open the url: http://www.microsoft.com/windowsazure/sdk/ and click on the Get Tools & SDK button. On clicking the button an executable named WindowsAzureToolsVS2010.exe will be downloaded. Run the executable and it will be installing the needed tools for Visual Studio. 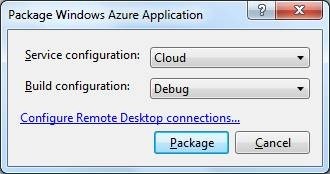 The installer above will be installing all the required features including Azure Tools, SDK, ASP.NET MVC, IIS settings, hotfixes etc. 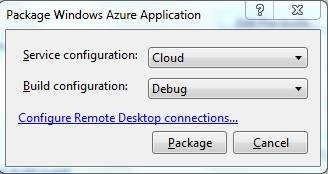 After the installation, you can start the Visual Studio and from the New Project dialog box you can view the Azure Project item. Following are some of the important components of runtime. Windows Azure Compute Emulator This is the tool that enables local Azure environment for developing and testing applications. Windows Azure Storage Emulator This is the tool that enable storage (Blob, Queue, Table) services in the local machine. You can read the known issues associated with the latest SDK 1.5 release.